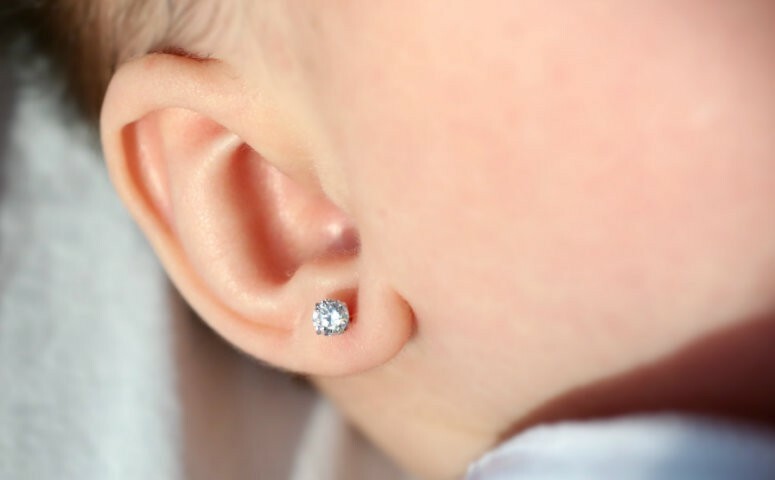 Is it right to pierce baby ears? I love earrings. I don’t always wear them, but they generally make me happy. In fact, I recently bought new earrings from the awesome people of Tech Girl and they are ridiculously pretty and geeky. They make me happy. Here, look at how cool they are! I was ten when I got my ears pierced, and it was sort of a coming of age experience for me. I only knew a few other girls with pierced ears and it was a big deal to be allowed to get them pierced, and then to do all the stuff necessary to take care of them. I only knew a couple girls whose ears were pierced as babies and I remember even then wondering about the pros and cons of it. Sure, it’s great that they didn’t have any memory of getting their ears pierced, but they also didn’t have the significance, either. This is a decision that I will have to make for Harley, and I’m pretty torn about it. It seems to be a common thing to do in South Africa with baby girls. And I get it, it can make the whole experience a whole lot easier on the kid – she doesn’t have to do the cleaning and care for the piercing and it’s not that much extra work for me considering all the cleaning and ointments babies need anyway. She won’t remember the pain and she’ll get to enjoy wearing fun earrings from an early age. All sound reasons to do it. But what about the choice factor? What if she grows up to be one of those “my body is intact” people and resents me forever for piercing her before she was old enough to consent? Or what if it’s robbing her of a coming of age experience she could have further down the line? Or what if she doesn’t want to lumped in with all the other girls wearing pretty earrings, and simply by having pierced ears feels uncomfortable? Of course, Harley will end up resenting me forever no matter what I do. That’s the joy of parenthood, isn’t it? But really, as common as it is, is it really the best thing to pierce a baby’s ears, or should I just let her grow up and decide on her own body modifications? I know, I’m not giving her a tattoo or something, but a piercing is still forever, and as mainstream as pierced ears may be, who knows if it’s something she will want when she grows up.